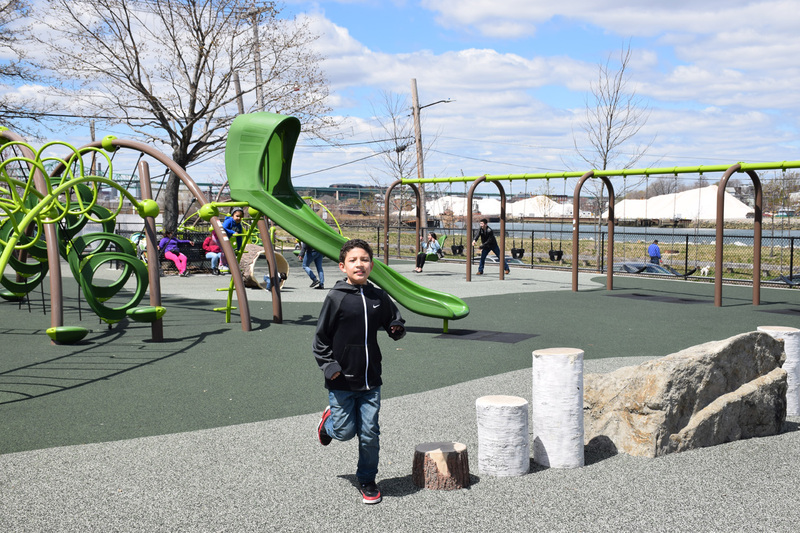 American Legion Playground is a $2.6M all-new and complete redesign of a well-loved park along Chelsea Creek in East Boston. 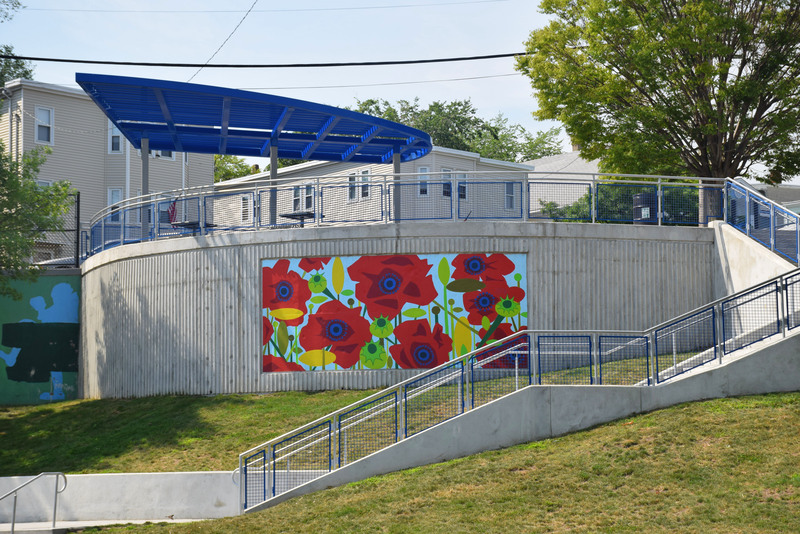 Warner Larson facilitated lively community meetings balancing the competing interests in the community during the design process. 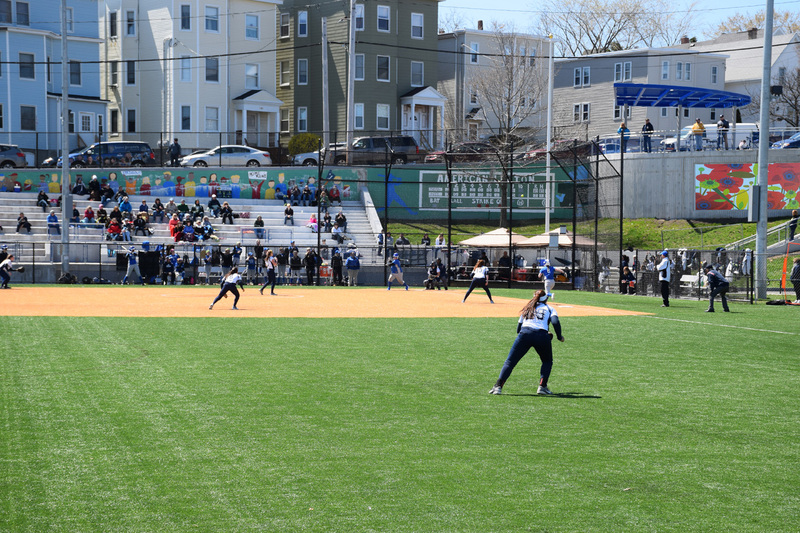 The worn out grass field was replaced with synthetic turf combo softball and soccer field with efficient sports lighting and a separate turf court that allows soccer practice when the softball field is permitted. 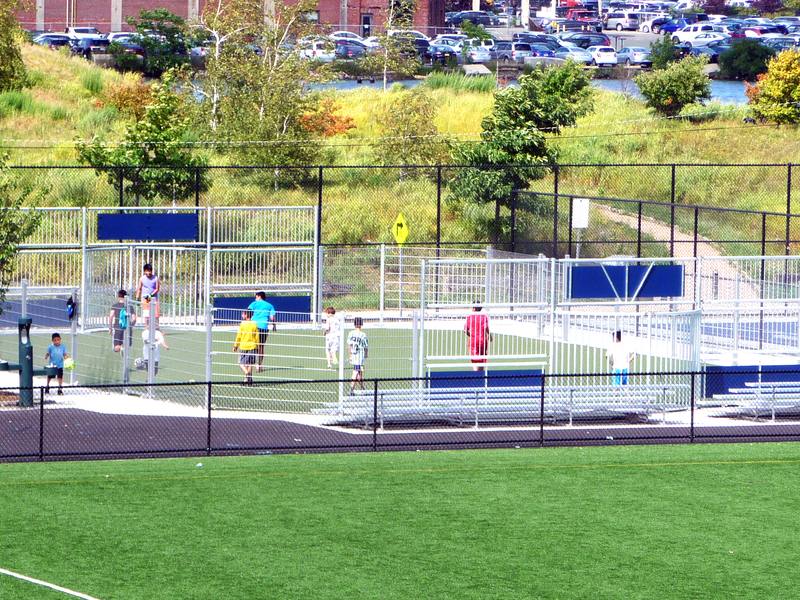 An accessible walking loop surrounds the field and connects all park amenities including a nature-inspired playground, the soccer court, two basketball courts, bleachers and a picnic area with tables set amongst lawn and trees. 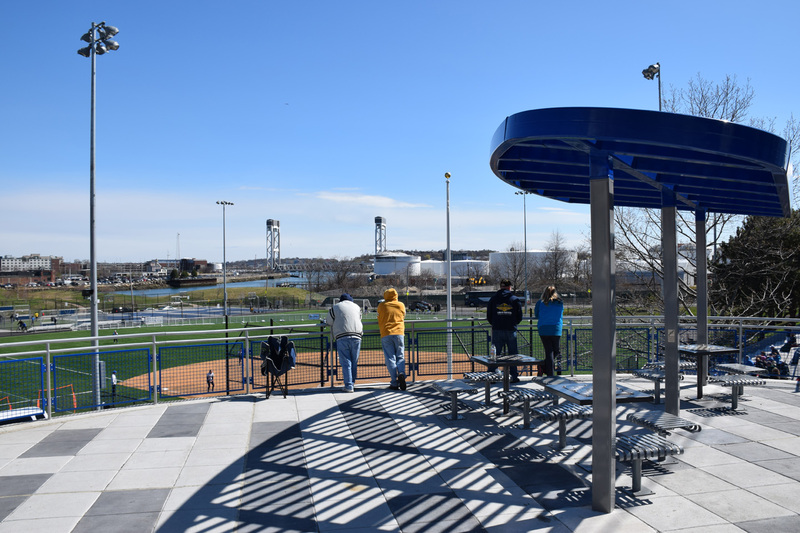 A dramatic overlook at the high point of the park includes a 12’ tall curved mural wall and a cantilevered shade structure where spectators can see the entire park and gather to play board games on café-style tables. 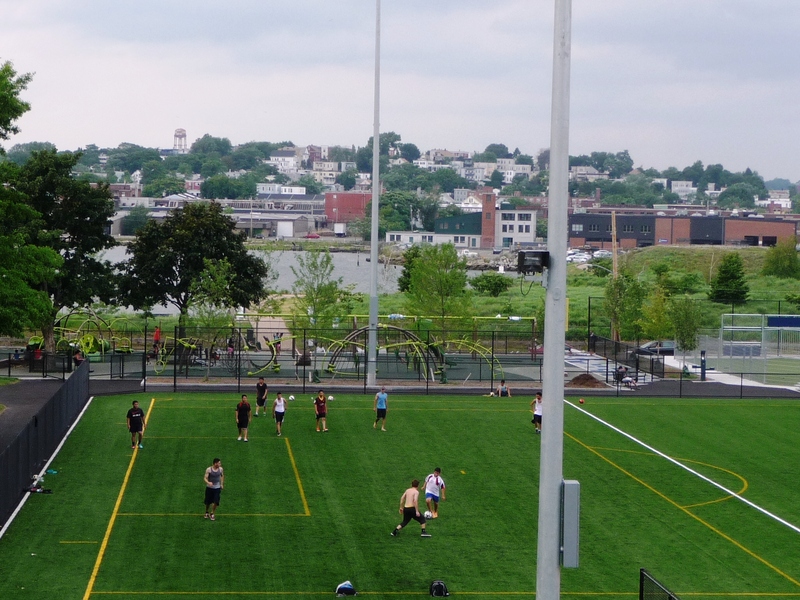 Soil remediation costs were minimized by Warner Larson’s team proactively and responsively working with the contractor’s schedule and weather conditions. 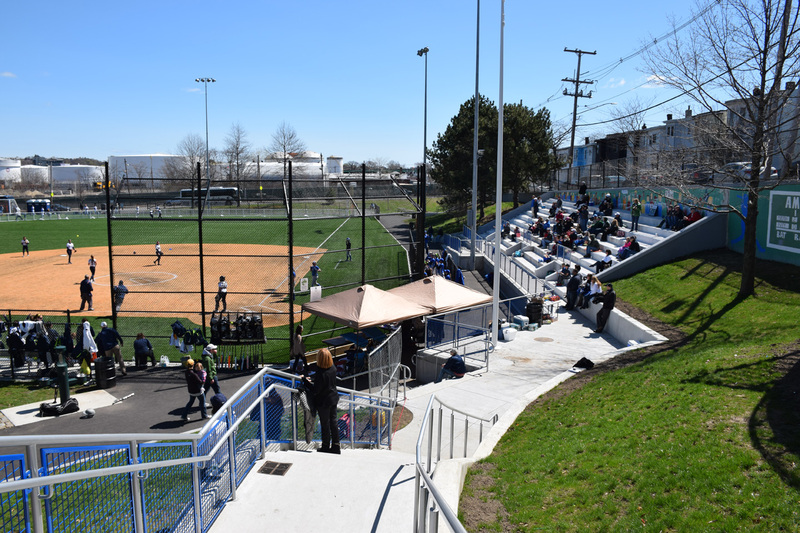 A portion of the original 1930’s concrete bleachers and all site walls were restored and retrofitted to meet current codes with wheelchair seating, an accessible ramp and powdercoated silver and blue railings that line the ramp, stairs and overlook.